Since 1873... - What is happening in the world of Lonville? The Lonville Watch Company works on a project-by-project basis with a group of industry specialist to give watch enthusiasts access to remarkable quality standards, unique components and understated exclusivity long lost in today’s mass production society, at a price level that can not be matched by large marketing inflated rivals – let’s say a passion in the form of a business. In 2008 Lonville started the design and development of their first new watch, Virage, after more than 50 years of silence, and we took a further 7 years to get the final development and design just right. You can’t rush a passion! Virage is inspired by the glamour of the 1950s, paying homage to the last decade that the 138 year old Lonville brand was produced. The ‘re-discovery’ of the Lonville brand in 2007 revealed an understated but passionate brand that produced exceptional watches in limited series. This philosophy fitted seamlessly with our dream to recreate a real sense of occasion when wearing a unique and exclusive mechanical timepiece with a long standing heritage. 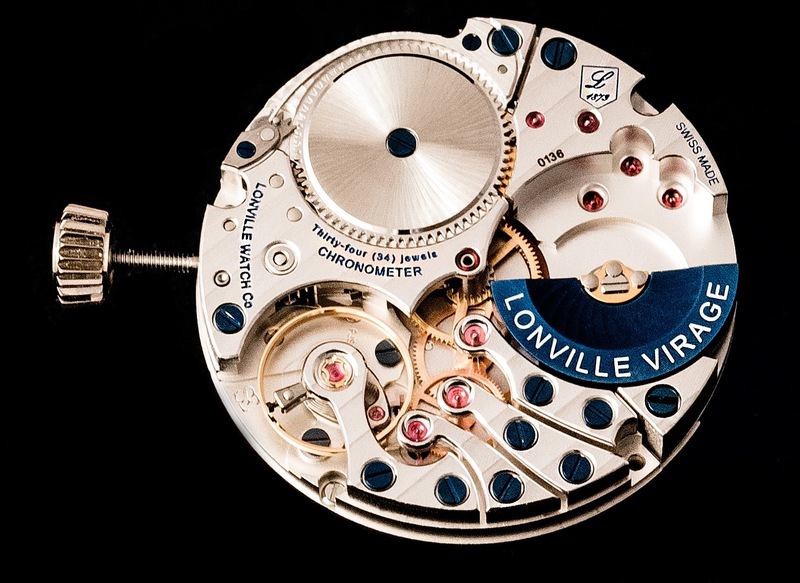 Together with a group of like-minded enthusiasts and a watchmaker, Joost Vreeswijk has re-started the Lonville Watch Company. Our limited series of typically 18-24 pieces per model, and the deliberate absence of a formal retail network ensure a Lonville will remain a rare sight, and its owners can enjoy an understated exclusivity that has been largely lost in today’s mass production society. The Lonville future is bright once again, come and join us! It was Johann Kottman who in 1873 established an ebauche-watch movement company with some 80 workers in the village of Langendorf. Following a near-collapse in 1880 Johann Kottman recruited watch specialists from the western part of Switzerland and started a program to provide housing, schooling and other facilities for their workers and the town – the business flourished and the foundation for future growth was laid. Following Johann Kottman’s unexpected death in 1890, the technical director, Lucien Tieche, took control of what was then already called the Langendorf Watch Company. Tieche started production of Langendorf and Lonville branded watches alongside the original movement manufacture. Lonville is the French name of Langendorf and was used to give a different image and flair to the German-sounding Langendorf. At this stage the majority of the watch industry was already predominately located in the French-speaking part of Switzerland. During the end of the 1800s the Langendorf Watch Company became one of the largest watch & clock factories in the world with some 800-1000 workers. In 1902 the company once again was controlled by the Kottman family, managed by Ernst Kottman. Lonville is most famous for its pocket watches. Early watches were basic 7 jewel movements in plane cases. Although largely Lonville-branded, the majority of movements were shared with watches from mother-brand Langendorf. Early movement service kits show the shared calibers between the different Langendorf brands. After 1900 more decorated cases started to be introduced, followed by more elaborate dial decorations and cases in both silver, rolled-gold and gold. Movements also gained the addition of detailed decorations. Lonville watches of this era show both variety in decoration, as well as some family lines in both dial decoration and understated elegance. At this stage Langendorf was operating a full manufacture of both movements and cases, no longer relying on external suppliers. Lonville was particularly successful in the United States due to the backing of importer Harry Rodman. Rodman advertised Lonville watches as ‘the best watch money can buy’, for having a particular reliability and durability, and for being totally manufactured under one Swiss roof. Later, Rodman went on to establish one of the most significant diamond collections in the world. One can only assume Lonville contributed to his fortunes! During the period of 1930 to 1950s a variety of watches were introduced. From functional watches (‘dust, water and shock proof’) to more elegant dress watches that were sold under names like ‘The Oxford’. Some unique surviving advertisements are testimony to these styles and watch names. A recent vintage watch discovery discovered an elaborately decorated 1940s ladies’ Lonville with fauxdiamonds was uncovered. These type of watches would have been manufactured in low volumes and very much targeted at more glamorous owners. What a gift this must have been in those days! During the 1950-60s the Langendorf Watch Company started to focus most of its attention on its other brands, most notably Lanco. During the early 1950s the Lonville brand was sadly abandoned and was never used again. The Lanco brand was continued into the seventies and was ultimately Langendorf’s greatest success. The post-war Swiss watch industry decline, the 1960/70s introduction of quarts movements and fierce overseas competition saw the Langendorf Watch company decline, being sold and subsequently being closed for good in the early 1970s. One can only wonder what a 1950-1960 Lonville watch would have looked like if the brand had continued and moved into this classic era of wrist watches? With this question in mind, we set-out to break fifty years of Lonville silence and continue the marque’s history. Hello, I’m looking for information about Lonville pocket watch, I’ve inherited. I’d like to know more about watch I’m a new owner. Could you help me determine when my watch was manufactured, what model is it, etc? I’d appreciate any help. My watch is signed Lonville extra 17 jewels, Swiss unadjusted, 191 (in frame), it’s number is 6268.